To provide a top-quality expert witness service so that lawyers and judges can efficiently make best-reasoned decisions. Litigation for surgical negligence and personal injury is a growing problem in the UK and worldwide. Lawyers and judges require surgeons to advise on medical professional matters, in order to deal with claims. Mr Sarela has unique expertise in this area because of his active surgical practice and his doctoral studies in academic medical law. He accepts instructions from solicitors for confidential expert advice and CPR 35-compliant expert witness services in civil cases for clinical negligence and personal injury. Mr Sarela is fully conversant with the legal tests and with recent reforms and directives from the Ministry of Justice regarding the role of expert witnesses in civil cases. Mr Sarela started medico-legal reporting work in April 2011. Up to April 2016, Mr Sarela has prepared over 300 reports for Personal Injury, Confidential Advice, Breach of Duty & Causation of Harm and Condition & Prognosis. Claimant, 70%; Defendant, 30%. 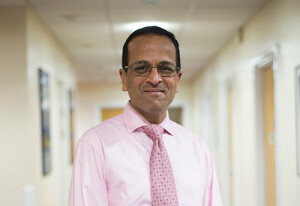 Mr Sarela has expertise in surgery for weight loss (bariatric surgery), cancer of the oesophagus, cancer of the stomach, acid reflux, gallstones, hernia, achalasia, gastroparesis and abdominal emergencies, such as appendicitis and trauma. Mr Sarela provides expert witness services under the trading name of Surgical Jurisprudence Ltd, the company he founded in 2013.